Girls of the Sun was screened at Cannes this year as part of the Official Competition. It was one of only three films directed by women in the main competition in this year of #MeToo. 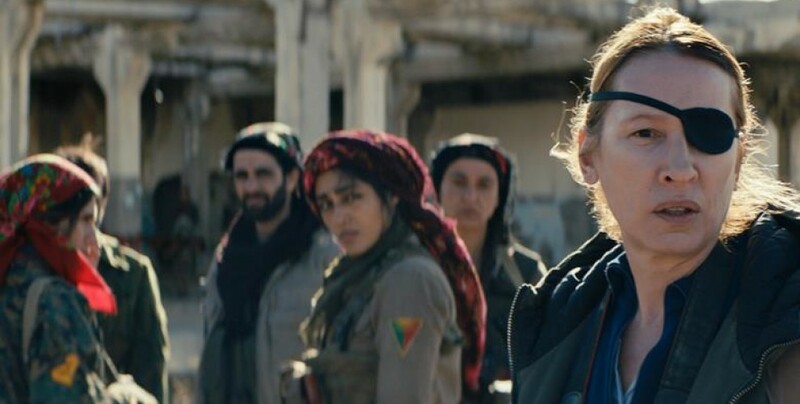 Unfortunately, while the other two women (Alice Rohrwacher and Nadine Labaki) were both genuine contenders for the big prize with Happy as Lazzaro and Capernaum, Eva Husson’s Girls of the Sun was given something of a ‘thumbs down’ by the Cannes critics. I would like to have refuted their putdown, but I have to admit that the film has flaws (not helped by Screen 5 at the Vue suffering sound problems again). The ‘girls’ of the title are actually women who have joined the Kurdish military in order to fight to liberate their home town which was taken by Daesh. With their husbands and fathers executed, the women and their children were kidnapped and then the young boys were taken to be trained as Daesh fighters. The women, who subsequently escaped, were then recruited for the fight. It’s a harrowing and important story which deserves to be more widely known – see this report on Kurdish women in the Peshmerga. The film was shot in Georgia and the central role is taken by Golshifteh Farahani, the Iranian actor who was so good in About Elly (Iran 2009) but who later left for France and who has subsequently appeared in international films. Farahani plays the role of Bahar, the commander of what the promo material calls a ‘batallion’ of female soldiers. In fact by the time the fighting proper begins this appears to be reduced to more like a small squad of less than ten. Eva Husson, making only her second cinema feature as writer-director makes a number of important strategic decisions which perhaps seemed a good idea at the time but which I think perhaps didn’t quite work out as she planned. First she decided to present her story as a non-linear narrative with a series of flashbacks woven into the main narrative showing how the women were first kidnapped and how some escaped. At the end of the film we saw possibly the same explosion as at the beginning – which Keith suggested meant that everything was actually a flashback to two different time periods. He may well be correct. I confess at the beginning I was trying to cope with the loud and unfortunately distorting soundtrack comprising rather bombastic music scored by Husson’s regular collaborator, the American musician Morgan Kibby. The second choice was to include the character of a French war correspondent Mathilde played by Emmanuelle Bercot (who I last saw in Mon Roi, 2015). Bercot is a powerful figure (with six directorial credits) and in the film’s opening sequence her character seems to be the protagonist. But in time we realise that Mathilde’s role is mainly to observe/witness the story of the female fighters. Since there is a sub-genre of ‘journalist under fire’ pictures with examples from Hollywood, European and ‘international’ cinemas, I found this a little confusing – as if Eva Husson was not quite sure what to do with her character while the audience is expecting the journalist to become an active agent in the narrative. The journalist’s role seems to be partly as listener when Bahar tells the women’s story. She also enables us to see how dangerous war reporting is during this kind of close fighting. I don’t want to give the impression that this is a ‘bad film’. 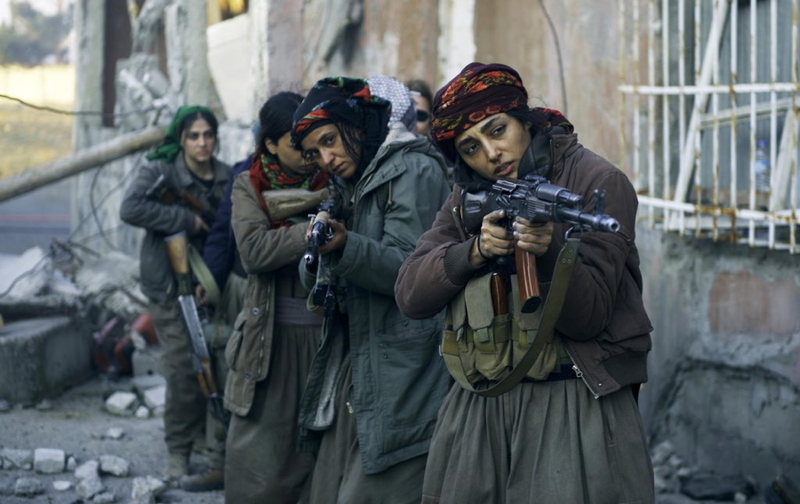 Golshifteh Farahani and the other women are convincing fighters and the action scenes are exciting enough. There is a strong sense of this being the story of women literally observed by a woman and that’s fine. I just had the nagging feeling that it wasn’t working as well as it should. It’s perhaps significant that at one point (or was it soon after the film ended?) I was reminded of the Bollywood action epic earlier this year with Salman Khan and Katrina Kaif which imagined a similar scenario with women needing to be rescued from a terrorist stronghold in Iraq. Katrina Kaif’s ‘super spy’ is very impressive in taking out so many black-clad warriors with her choreographed martial arts techniques. This is a very silly film but actually quite entertaining. Girls of the Sun is very serious (rightly so) but a bit clunky by comparison. I remembered later that Agnès Poirier had written an angry piece in the Guardian during the Cannes Festival in which she calls the film exploitative and argues that is not a feminist film since the two lead characters are defined mostly by motherhood rather than by their political activity. She was defending film critics who had called out against the film from the #MeToo activists who blamed poor reviews on male film critics. She has a point but perhaps both sides of the argument need to cool down a bit. Eva Husson’s background suggests an intelligent and talented woman from a family steeped in anti-fascist action. She won’t have attempted to exploit Peshmerga women – but perhaps the script needed a bit more development? One of the perhaps overly beautiful images of the unit in the forest. Based on an important novel by Väinö Linna published in 1954, this ‘national popular’ film is the most expensive production (at a modest €7 million) in Finnish film history. It is the third film based on the novel to explore the ‘Continuation War’ of 1941-44. Four of the film’s actors were present in Glasgow and told us that the shoot of 81 days was mainly based in the forests of military training areas and that the use of CGI was limited. The UK SFX explosive specialists on the shoot reportedly used more dynamite than on any other production. The ‘Continuation War’ was the second conflict between Finland and the Soviet Union in swift succession. Finland ceded the Karelian isthmus to the USSR after the Winter War of 1939-40. A year later, the German attack on the USSR persuaded the Finns to ally with them and attempt to retrieve the territory they had lost. At first all went well and the Finns entered Soviet territory beyond Karelia. But as the Nazi advance stalled, the Russian defence against the Finns turned towards the offensive and eventually the Finns were forced to cede Karelia again in late 1944. At the end of The Unknown Soldier, on-screen titles inform us that of all the continental European combatants in the Second World War, Finland was the only one not to be occupied – the USSR did not ask for unconditional surrender, but it did require the Finns to round-up and expel the remaining German forces. So, did we need a third film on the same topic and what does it tell us about Finish national identity and/or ideas about war combat? I went back to look at the previous Finnish war film discussed on this blog, The Winter War (Finland 1989) and discovered that the same observations might be applicable to both films despite the fact that the wars were not the same and that they are based on different novels. The previous film was also heavily cut for international distribution with the Finnish version running to nearly three hours (the 1989 film was also the ‘most expensive Finnish film production at the time). The print of The Unknown Soldier in Glasgow was missing nearly an hour from the Finnish version. I’m not sure I would have wanted another hour of action that was sometimes gruelling to watch but I’m guessing that much of what was cut was deemed to be too detailed to have universal appeal. I did feel that the two-hour version came to a fairly abrupt halt when the armistice was signed. I’m sure there must be more to learn about the Home Front and the aftermath of war. How difficult was it, I wonder to expel the Germans? The film focuses on a specific ‘heavy machine gun’ unit and follows the unit through the whole campaign. The most important characters are a couple of very different young lieutenants and a group of enlisted men. Soon they are joined by a pair of Winter War veterans and in particular Rokka (Eero Aho), a grizzled corporal who is by far the most experienced soldier in the unit. He is from Karelia and has already lost his farm once. He makes clear that he is fighting for his land and his family, not for ‘Finland’ and that he intends “to kill, but not be killed”. He is also oblivious to military discipline. The film is certainly about the soldiers rather than the politicians. The most interesting sequences for me were the short Home Front episodes and the Finnish occupation of the isthmus (Eastern Karelia) where the population is mixed Finnish and Russian. It reminded me of Russian films about the ‘Great Patriotic War’ in which the same region experienced occupation by Soviet, then Nazi and then Soviet again. (See Trial on the Road (1971/85). I’m not sure that this would be described as an ‘anti-war’ film, but given that it is in the ‘National Popular’ mode, the version we saw was not particularly jingoistic. The ‘Russians’ we meet are either sympathetic families in Karelia or captured soldiers. Otherwise they are faceless in the scenes of battle. There is no glory in the battles – though Rokka gets the reward of going home on leave after his effective demolition of the enemy. The Unknown Soldier has been acquired for UK distribution by Arrow Films. I presume the cut version will appear on a UK DVD. In Finland a five-part TV series is planned. I find films of this kind interesting if only to act as a counterbalance to the common US/UK views of the Second World War. The Unknown Soldier, directed by Aku Louhimies is well worth watching. I should add, however, that there has been plenty of criticism of the film in Finland (see this review). The director is seen to have ‘glamourised’ the soldiers and the excitement of the action (the combat scenes in the forests are beautifully photographed) and to have changed the representation of well-known characters from the novel. 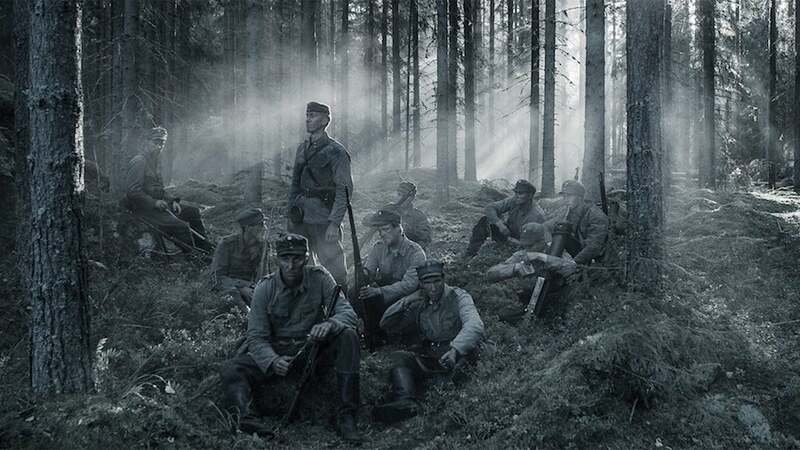 So, in the end it does seem to have created a Saving Private Ryan sort of situation – one in which a film is seen in cinemas by a large home audience (20% of all Finns according to the actors) but also criticised for misrepresenting the combat. Serendipity is a wonderful thing. I’d been researching Australian Cinema and, zapping through the channels on TV, I stumbled across this key film on Sony’s ‘Movies 4 Men’ channel about to start. I’ve always known there was a Vietnam War film from Australia and I thought I’d seen it back in the 1970s, but couldn’t remember anything about it. The Odd Angry Shot was made in 1979 and was based on a novel by William L. Nagle who served in Vietnam as a cook in the later 1960s. The film was written and directed by Tom Jeffrey. Australia became involved in the Vietnam War under the Liberal (i.e. ‘Conservative’) government of Robert Menzies, whereas the UK Labour Prime Minister Harold Wilson refused to bow to American pressure. Vietnam became a signifier of the shift of Australia into the American sphere of influence and away from the UK. The war would eventually become the focus for protest movements in Australia, especially after conscripted men started to be sent to Vietnam after 1966. The Odd Angry Shot belongs to what seems now to be known as the ‘AFC period’ of production in the 1970s. The Australian Film Commission and the funding agencies of the individual states provided a big boost for Australian production in the second half of the 1970s and it was these films that became known in the UK as the ‘New Australian Cinema’ or ‘Australian New Wave’. Several got mainstream theatrical distribution in the UK and others appeared on UK TV. The Odd Angry Shot didn’t make it to the UK until a 1988 video, but it did get a simultaneous Australian and US cinema release in 1979, presumably because of the subject matter. The ‘mates’ walking through the camp. The film begins with a combined 21st Birthday/’Going Away’ party for Bill (John Jarratt) who soon finds himself on a chartered Quantas flight to Vietnam. 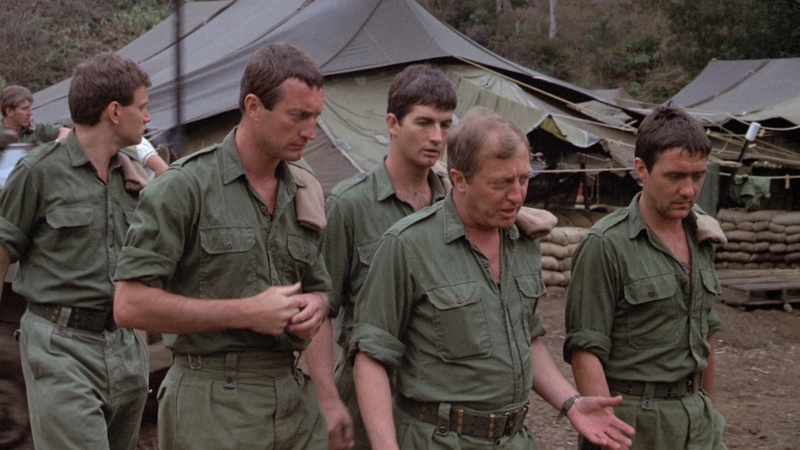 He’s the rookie in an SAS Unit led by Harry, an experienced corporal played by Graham Kennedy. Bryan Brown (‘Rogers’) and John Hargreaves (‘Bung’) make up the quartet who we follow throughout the film. In one sense, The Odd Angry Shot is an unusual ‘war combat’ picture. We don’t get any of the training period for young conscripts – I don’t think we know how Bill gets there. Is he a recruit or a conscript? Does he already know the ropes? Soon we are on patrol and the narrative switches between brief snatches of action – when the ‘odd angry shot’ is fired (and the odd squaddie is killed or badly injured) – and longer periods back in the makeshift tented base camp. This latter is familiar from M.A.S.H (1970) and the TV series that followed. There is a brief R&R visit to Saigon, but mostly the film is about that Australian sense of ‘mateship’. The four central characters are also ‘larrikins’ – that uniquely Australian term for the unruly, whose disdain for authority and search for fun is received with affection by many. There are only a few scenes in which officers appear and they are depicted as quite sensible, the big confrontation comes when the four mates meet a Sgt-Major who tries to be officious and Harry gives him a mouthful. Harry has clearly seen it all before and an officer arrives and backs him up. The Odd Angry Shot found generally very appreciative audience in cinemas. Reading through the IMDb comments it’s clear that the Australian and US Vietnam vets recognise the accuracy of the film in terms of the preparation for patrols, the quiet and methodical way of advancing on suspected Viet Cong positions and the boredom and attempts to relieve it in the camp. Because of the tiny budget (it was shot in Northern Australia, utilising a military training area in Queensland, for around A$600k) there are no doubt mistakes in the right kinds of helicopters and weapons, but that doesn’t really matter. 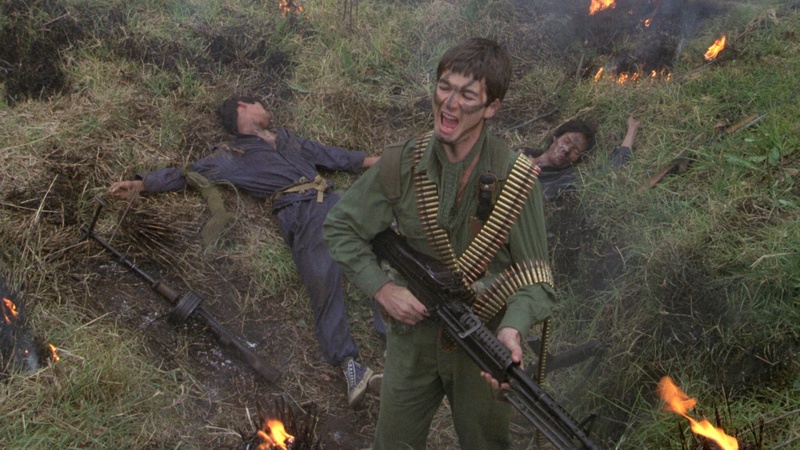 As several commentators note, it gives a much more realistic depiction of fighting in Vietnam than most of the Hollywood films of the period (the film followed Apocalypse Now and Coming Home but preceded Platoon and Full Metal Jacket). The importance of the film, however, is best articulated in its closing section when Harry and Bill return to Sydney at the end of their tour. There is no triumphant or heroic ending – nothing ‘gung-ho’. They go to a bar (in dress uniform) and answer “No” when the barman asks if they have just come back from Vietnam. They take their beers and sit back with a view across the bay. 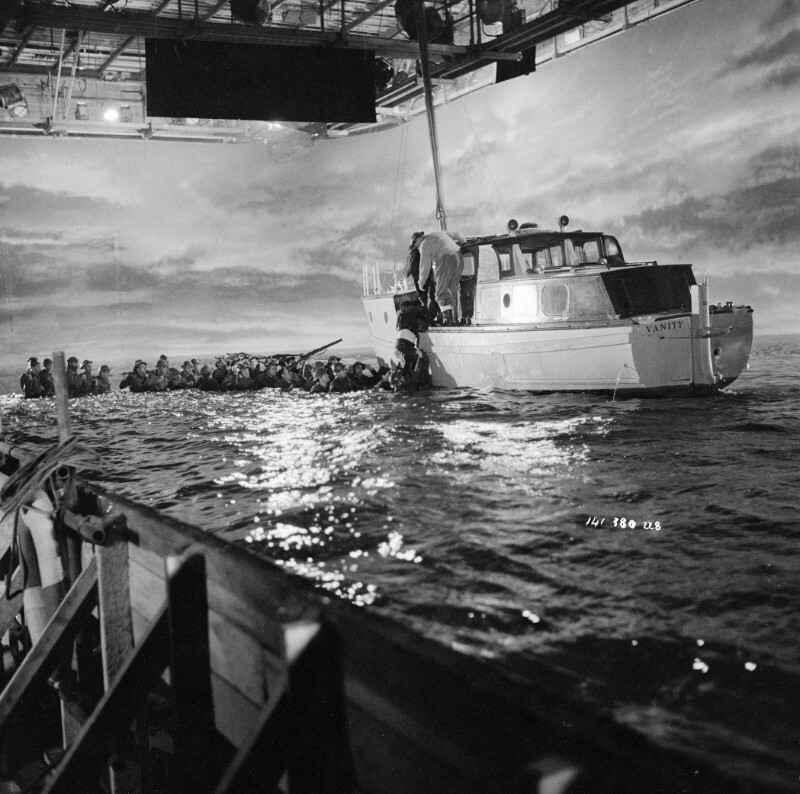 Earlier, in one of the few ‘speeches’ in the film Harry expresses his world-weary view about being in a dangerous place in Vietnam. ‘We all have to be somewhere, and we’re here.” In this useful review of the DVD, there are quotes from the DVD commentary suggesting that some critics thought the film wasn’t sufficiently ‘anti-war’, but I think that misses the point. 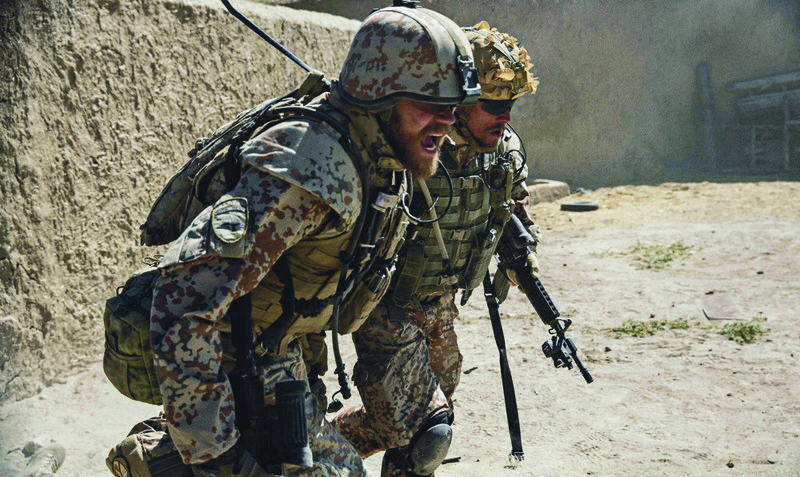 The film never attempts to ‘explain the war’, only to present the soldiers’ experiences. Here’s the trailer for the 2016 restoration of the film by the National Film and Sound Archive of Australia. The entry on the NFSA website is also useful. After the final episode of Generation War, BBC2 in the UK offered a discussion of the series by three distinguished academics alongside the series producer. The discussion was chaired by Martha Kearney, a regular presenter of cultural programming on the channel. This strategy was once fairly common on the BBC after controversial films or television productions but this is the first time (that I can remember) when a foreign language production received this kind of attention. The discussion was intelligent and stimulating and the three academics, specialists in this period, historians Richard Evans and David Cesarani and writer/literature professor Eva Hoffman, all expressed their agreement on how well-made and exciting the film was as well as the range of problems it raised in terms of the history of East/Central Europe during the Second World War. The programme also included some brief interviews with two writers but my main problem with the discussion was that no one was prepared to discuss the film ‘as a film’ and there was no other filmmaker’s voice apart from the producer Benjamin Benedict. 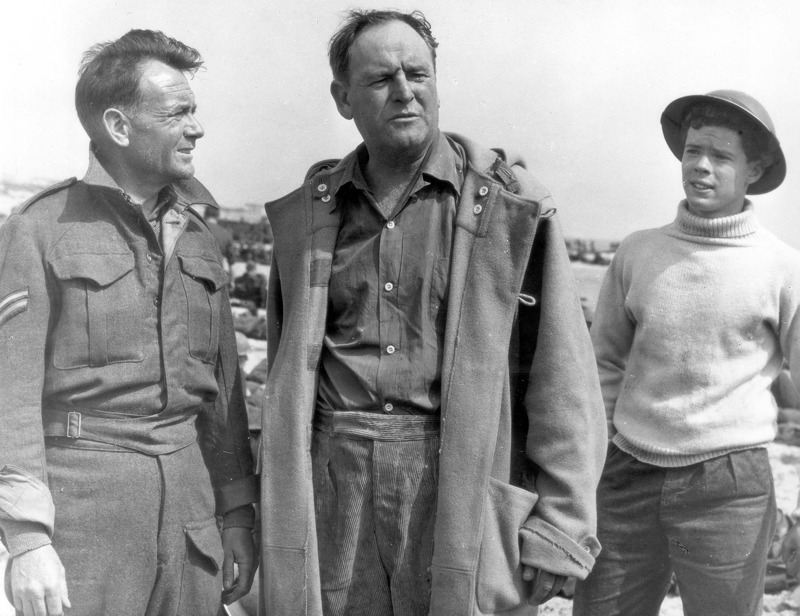 Richard Evans, while asserting that the film was not plausible in historical terms, noted that it was as if five young Germans from today had been parachuted into the events of 1941-45. He also admitted that it was impossible to represent characters from the 1940s in a modern drama in an historically accurate way. Of course, he is right and that’s why the film needs to be discussed as a modern drama, not a historical reconstruction. Its artistic intention is to engage younger Germans in an exploration of what their parents and grandparents might have experienced. The second major issue raised was the depiction of the Poles, Ukrainians and Russians in the film and specifically their treatment of Jews. Again, the academics agreed that the events shown did have a historical basis but that they weren’t representative of the whole experience – and yes it wasn’t possible to cover the whole war in 4.5 hours! My argument is simple, let’s discuss this fascinating mini-series as a long-form film narrative. It is intended as popular entertainment on mainstream television. Inevitably it will use the conventions of mainstream cinema, including the generic conventions of the combat picture and home-front melodrama. We should consider the riveting performances and the stupendous production design as well as the music and cinematography. As a popular film it does have some flaws and we need to address these – but it captured its audience and got audience members talking to each other. 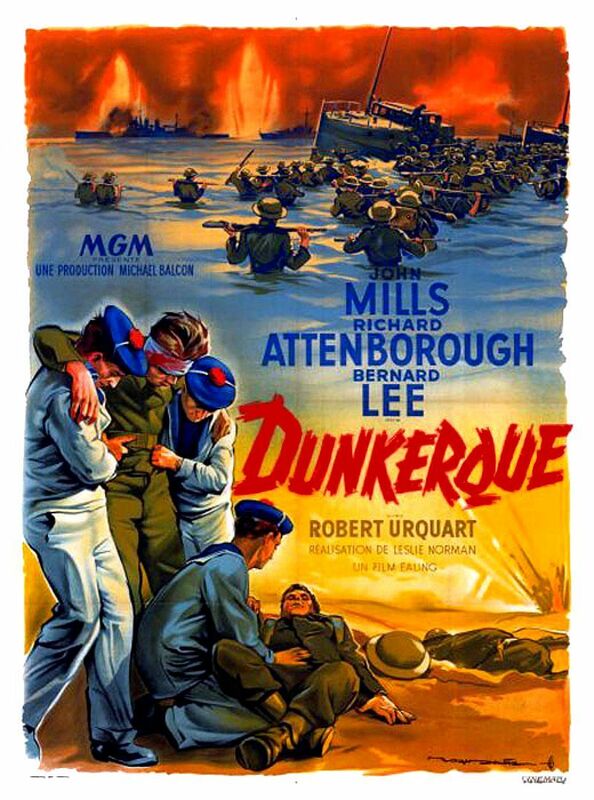 Finally, we should consider how it compares to films from other combatant nations in 1941-5. The film begins in the Summer of 1941 when five young people are celebrating in Berlin before they split up and the war takes them into different stories. The five are aged from roughly 18 to 21. This is important since they are just old enough to have known Germany before the Nazi regime took complete control, but have also been bombarded with propaganda as adolescents. They are Berliners so possibly more liberal than those elsewhere in Germany, but even so, two of them have approached the war in the spirit of fighting for the nation. “I represent German womanhood” Charlotte says when she presents herself as a nurse at a frontline hospital. Wilhelm has already fought in Poland and France and is a Leutnant in the Wehrmacht. Greta and Viktor are lovers. He is a Jewish tailor’s son and this character attracts most of the critics’ attention. Is this plausible they ask? I don’t know – but it is a useful narrative device, requiring Greta to act in a way that will help Viktor escape Berlin. Friedhelm, Wilhelm’s younger brother is the most problematic character for me given the narrative structure. The scriptwriters send three of the friends to the Eastern front and Greta will visit the front as a popular singer for the troops. After the party in Berlin, the five are never together again but four of them meet up on the front and at various times Wilhelm and Friedhelm fight in the same unit and meet Charlotte. Viktor goes his own way but meets Friedhelm. At the end of the story, three of the five are together again in Berlin. The scriptwriters contrive to weave the five separate stories together so each of the three 90 minute films, subtitled ‘A Different Time’, ‘A Different War’, ‘A Different Country’ features something of each of the five characters’ stories. This means that the coincidences of melodrama are more obvious as the writers bring characters together in different ways. Friedhelm seemingly changes the most in his behaviour, yet it may be that his understanding of the psychology of war remains the same. I couldn’t work it out. He begins as the ‘rebel intellectual’ (rebelling against his father and to some extent against his older brother) almost unable to fight but in time becomes a ruthless killer. Wilhelm travels in the opposite direction, recognising quite early that Germany will lose the war. Charlotte becomes a better person. Greta perhaps gets ‘above herself’ but arguably suffers more than she should. Viktor becomes the catalyst in the story, both for Greta’s actions and for a lengthy sub-plot about the anti-semitism of some members of the Polish ‘Home Army’ – but also the courage of other Poles. Friedhelm (Tom Schilling) is the most difficult character to understand? I wonder if the series would have worked better as a longer narrative in which each of the five characters had their own one hour episode plus an opening and closing episode where the five stories coalesce. This might have allowed more attention to character development and required less manipulation of the separate stories. In a sense, Viktor’s story is different, simply because he exists ‘outside’ the central German narrative (i.e. in relation to the German military, Gestapo etc.). 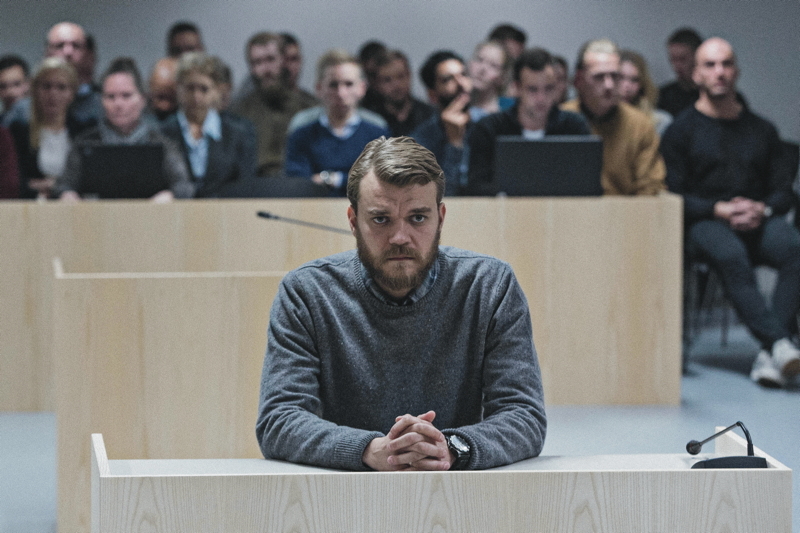 I think that overall I reject much of the criticism that the series has taken re the representation of Jewish characters and the ‘too positive’ representations of the young (and attractive) German characters. The films don’t ignore the Jewish question and they certainly represent both the cruelty and viciousness of some of the Germans and the political naivety and ideological confusion as well. Having said that, I do think the final scenes in 1945 don’t represent the horror of Berlin as well as Anonyma– Eine Frau in Berlin (Germany-Poland 2008). The main problem for film viewers and critics in the Anglophone world is that we don’t know enough about the Eastern front from 1939 to 1945. There are a couple of UK/US films that do engage with the range of issues in Generation War. Peckinpah’s Cross of Iron (UK/West Germany 1977) and the recent Defiance (US 2008) by Edward Zwick are both worth exploring but mostly it is German, Polish and Russian films that should be the basis of comparative analysis. Sophie Scholl (Germany 2005) is a very different kind of film but it shows very well what kind of ideological ‘work’ is possible in stories about Germany from 1943 onwards when the ‘final victory’ becomes increasingly less likely for some young Germans – as distinct from the younger teenagers recruited into the German forces in 1944-5 who are depicted in Generation War as completely driven by propaganda. The Russian and Polish films discussed on this blog include Trials on the Road (USSR 1971/85) and Katyn (Poland 2007). 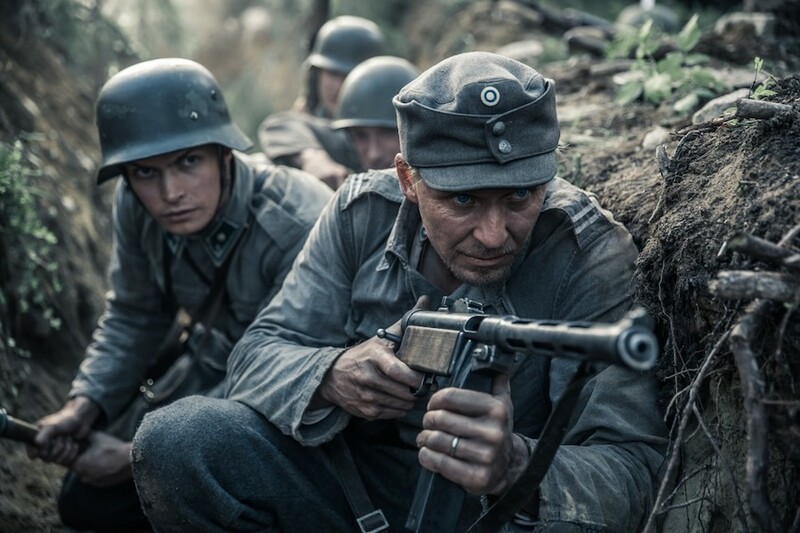 These films view the events of the war through the eyes of Russians and Poles as much as Generation War focuses on the views of young Germans. What all the films explore is the sweep of the action across a huge swathe of territory disputed over centuries by different occupying powers. 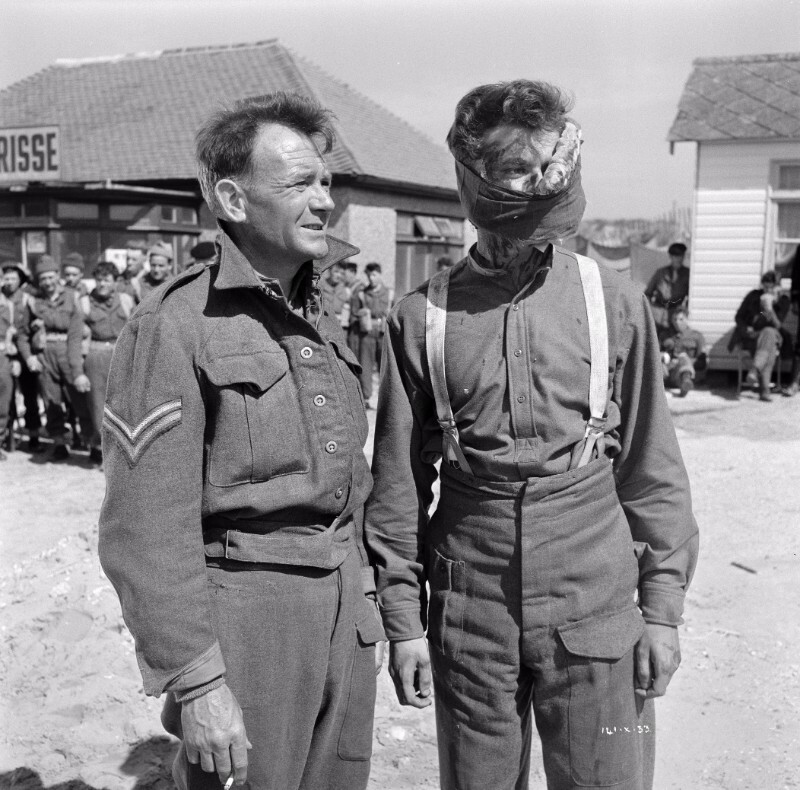 Individuals in 1939-45 often changed sides and changed uniforms, atrocities were committed and great courage was shown. Notions of ‘friend or foe’ must have been very difficult to negotiate and concepts of ‘good’ or ‘bad’ soldiers or morally correct civilians seem hard to apply. Of course there were internal conflicts in all the countries occupied by the Axis powers in Western and Southern Europe during 1939-45 (and films have been made about them in those countries) but I don’t think those conflicts were quite as complex in terms of identity as in the disputed lands of Eastern Germany, Poland, Ukraine and Belarus etc. Generation War offers another perspective on what happened in the East as far as five twenty-something Germans were concerned. Now it would be good to see a bit more about what happened at home in Berlin (the father of Wilhelm and Friedhelm is a mysterious character and I’d like to know about Charlotte’s and Greta’s families). I’d also recommend Lore (Australia/Germany/UK 2012) as a good follow up to Generation War (which is now available on DVD in the UK). And of course it’s always good to go back to Edgar Reitz’s mammoth TV serial Heimat (West Germany 1984), also on DVD.